On April 10, a meeting of government delegations of the Republic of Uzbekistan and the United Arab Emirates kicked off in Tashkent. The meeting, chaired by the Prime Minister of the Republic of Uzbekistan Abdulla Aripov and the Minister of Cabinet Affairs and the Future of the United Arab Emirates Mohammed bin Abdullah Al Gergawi, was attended by the heads of responsible ministries and agencies of the two countries. 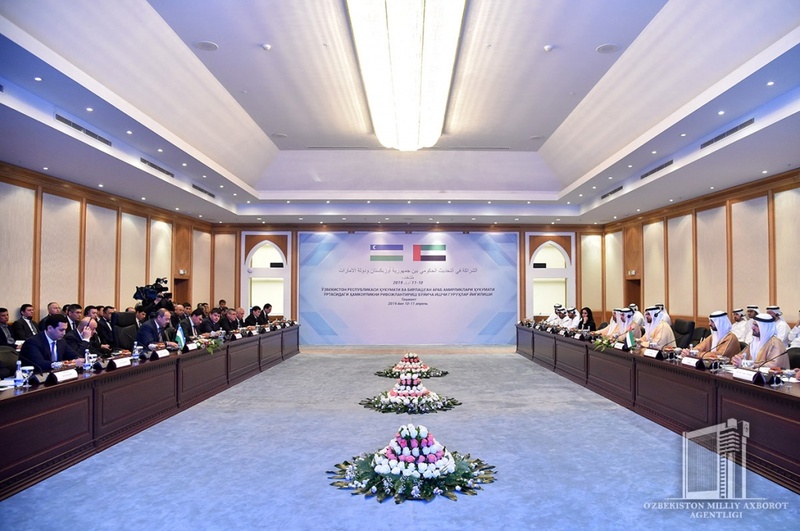 Implementation in Uzbekistan of the achievements of the United Arab Emirates in the system of government was considered at the meeting. The issue of development and implementation of a joint cooperation project between the two countries for a medium and long-term perspective on improving the efficiency of public administration in Uzbekistan and creation of a national development strategy was discussed. This cooperation program envisages the development of special strategies on issues such as government accelerator, innovation, quality of government and services, national strategy, the effectiveness of the executive system of government resolutions, formation of the management personnel and creation of personnel reserve. At the event, views were exchanged on further expansion of promising cooperation between the two countries, creation of working groups for the effective organization of their activities. It was noted that there are ample opportunities for bilateral cooperation. 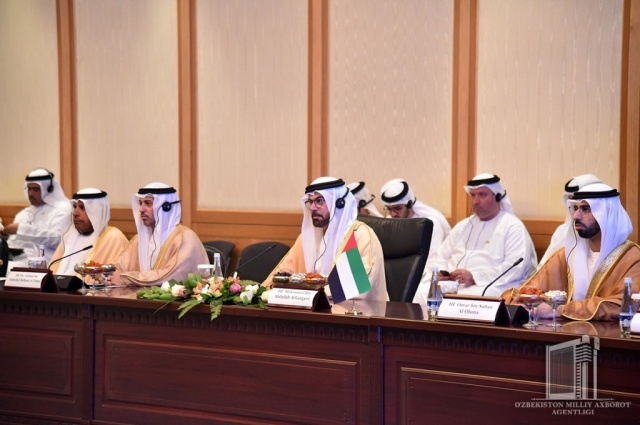 Presentation of the United Arab Emirates, dedicated to improving the efficiency of public administration, was held. G2G meetings of the working groups were held on certain areas. UAE delegation’s visit to Uzbekistan continues.